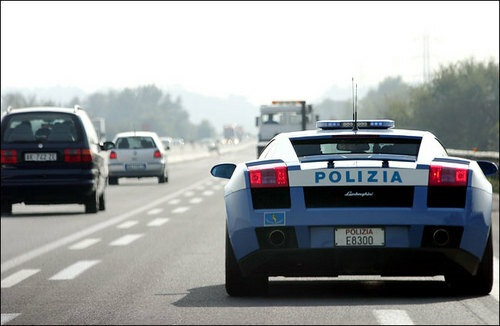 If you think you can get away speeding in Italy, think again! 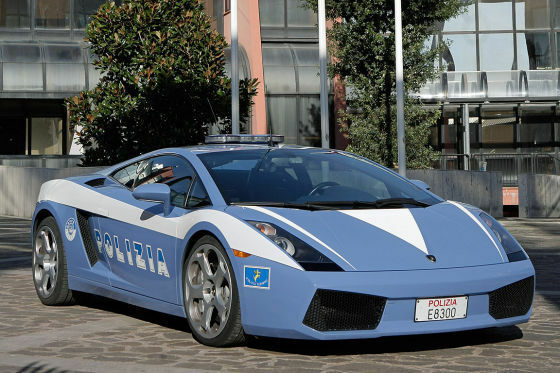 A Lamborghini Gallardo has been donated to the Italian State Police (Polizia di Stato) by Automobili Lamborghini SpA for their 152nd anniversary. The V10, 500 bhp 190 mph performance car has been liveried in the colours of the state police and includes a siren and flashing lights on the roof. 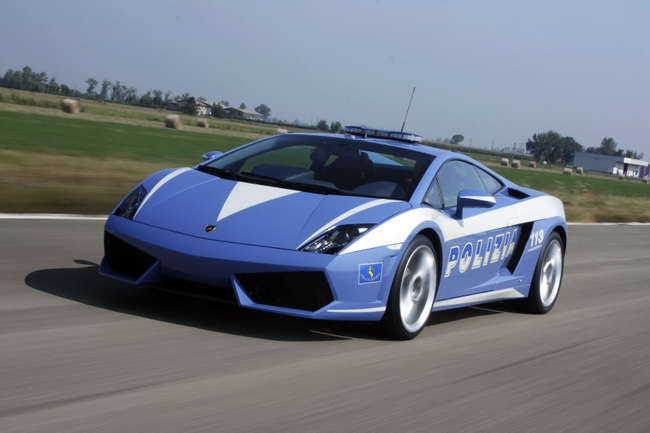 This is the first time that a Lamborghini will be used by Italian police. Why is it being used? Because there are many vehicles in Italy that can easily escape the 130mph speed limit they have there. The Lamborghini can easily keep up and pursue any runaway criminal.